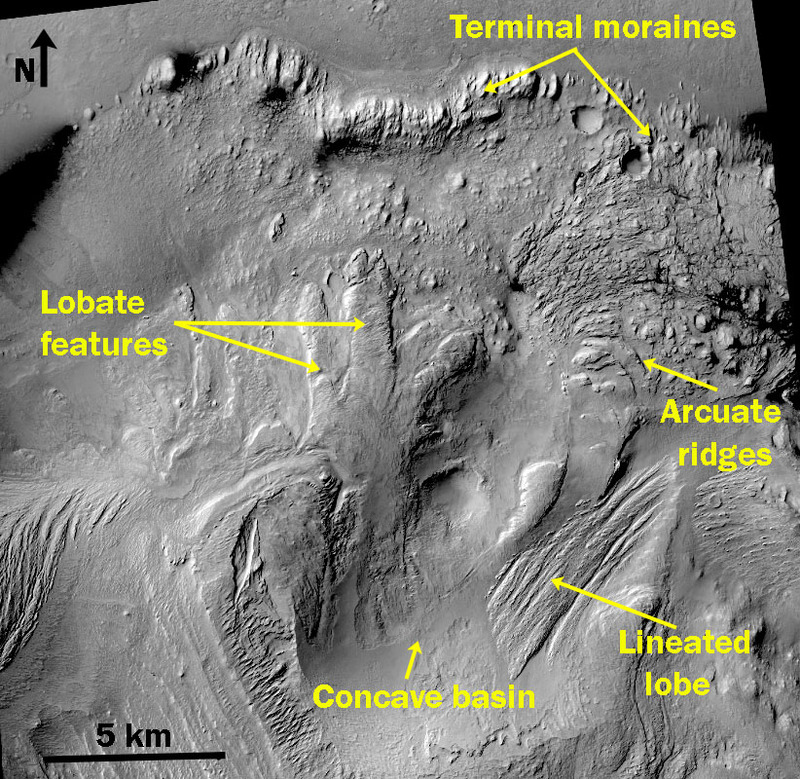 Glacial and fluvial landforms that date to ancient Noachian and Hesperian times indicate an abundance of liquid water on Mars at that time. Of interest is evidence of younger (i.e., Amazonian) glacial activities. 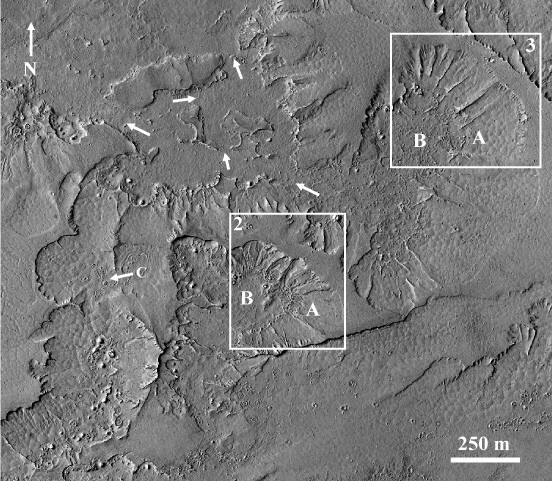 These processes have recently been suggested for some locations in the Marmers Valles region of Mars [Kress et al., 2006; Di Achille and Ori, 2008; Tirsch, 2009a] (Image 1). 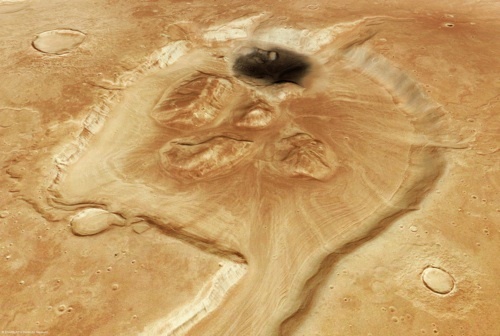 Image 1: Crater near Mamers Valles (HRSC orbit 3304, perspective view, north is to the left). 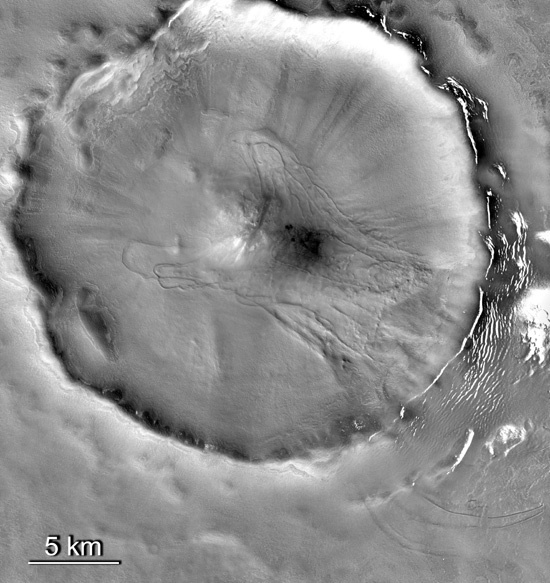 At the north pole of Mars lies Planum Boreum, a dome of layered, icy materials similar in some ways to the large ice caps in Greenland and Antarctica and comparable in size to the former. 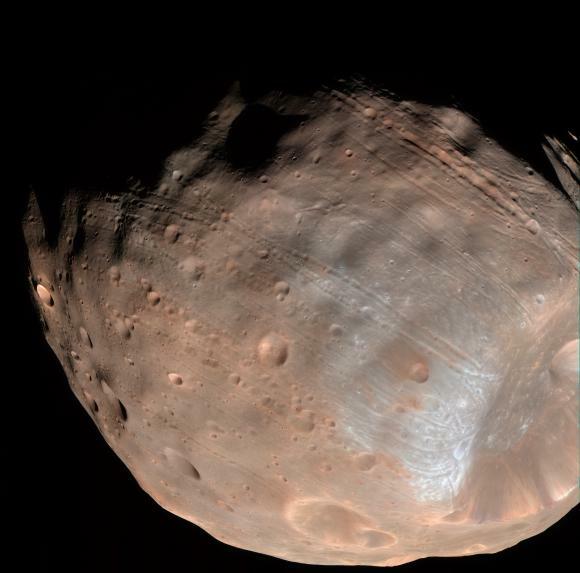 The dome itself consists of the polar layered deposits, consisting of over 90% ice with a little bit of dust, and the basal unit, consisting of ice, dust, and sand. 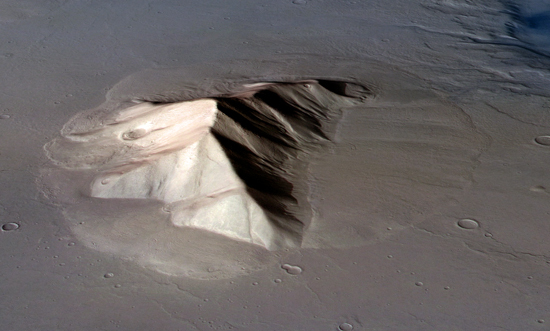 An enhanced color image from the Mars Reconnaissance Orbiter (MRO) High Resolution Imaging Science Experiment (HiRISE) shows a portion of the martian north polar layered deposits, the basal unit, and the Olympia Undae dune field. 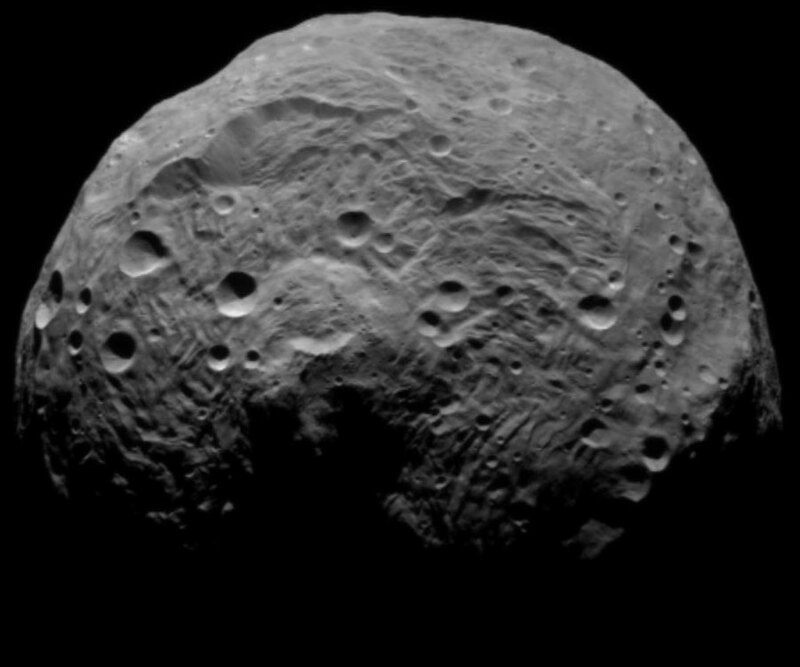 The image is 1.2 km (0.75 mi) across. This image is best understood if you imagine yourself flying over a cliff in a plane. 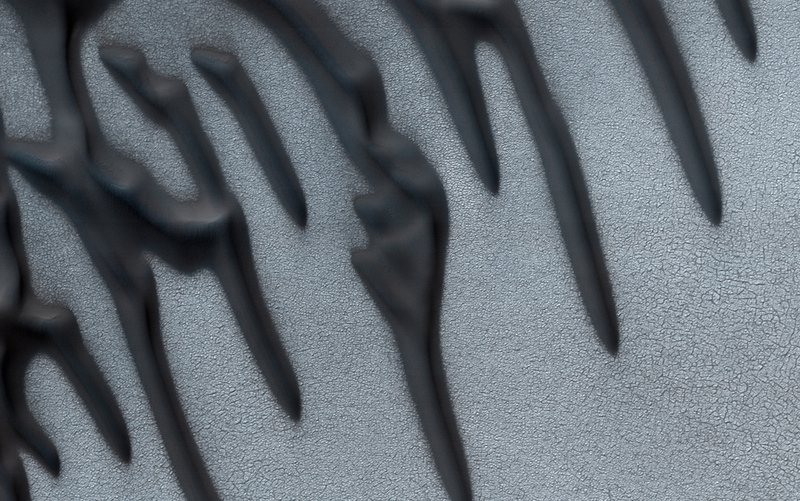 Note that the colors in an enhanced color image do not re-create what it would look like to the naked, human eye, but rather bring out the compositional differences between the materials.